They recorded a song with the help of dozens of people across the world. 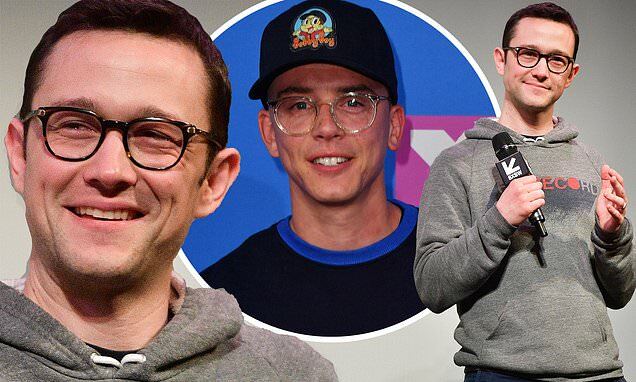 Joseph Gordon-Levitt, 38, showed off the result of his musical collaboration with Logic when he premiered Band Together With Logic at the South By Southwest festival in Austin, Texas on Friday. The 500 Days Of Summer star documented the 29-year-old musician's quest to create a song collaboratively across the world. Joseph was present for the premiere screening at Austin's Paramount Theatre of the YouTube Originals special, though Logic was absent. The film, currently available online, is built off of his HitRecord site and subsequent HitRecord On TV series. The original website allows participants to meet and work collaboratively on digital works of art. The variety show, originally aired on the Pivot network, was a forum to broadcast these new creations, hosted by the Inception star. The Don Jon star took to Twitter on Friday to highlight the new short film.